Emmanuel Adebayor has dismissed suggestions he requested a whiskey and smoked a cigarette when discussing a contract offer at Lyon. The claims, attributed by some outlets to Lyon coach Bruno Genesio, were invented by a satirical website in France. And Adebayor, who is still without a club after Lyon opted to sign Jean-Philippe Mateta from Championnat National side Chateauroux instead, was keen to put the record straight. In a statement, he said: "Usually I do not comment on any transfer negotiations or speculation but this time certain matters need to be cleared up. "Unfortunately, I could not get there in time to be registered for their game and they signed another young striker instead. They still asked if I could come and speak to the manager and director of football in order to establish if it would be possible to sign us both. "For the avoidance of doubt I only drank water at this meeting and did not ask for whiskey or have a cigarette. "This was a report that came out of a French newspaper and is not only ludicrous and ridiculous but was meant as a joke by the journalist. The statements have been retracted and the journalist is currently drafting an apology. "Unfortunately the press in other countries couldn't see that the journalist was being highly sarcastic and rewrote the story." 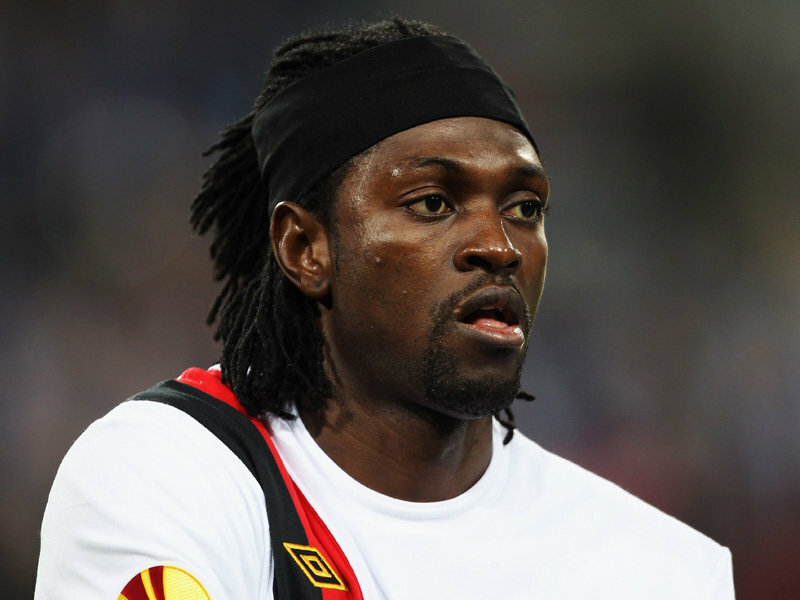 Adebayor last played for Premier League club Crystal Palace and is now a free agent.